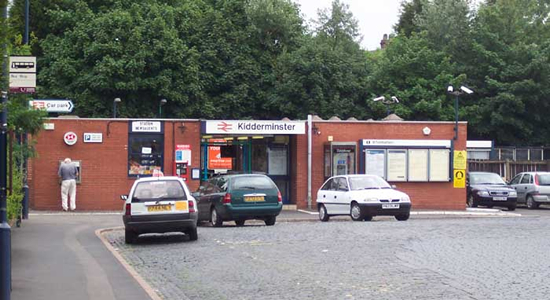 Kidderminster Station originally opened in 1852 on what was then the Oxford, Worcester & Wolvehampton Railway. However the station building we see above, viewed from the car park off Comberton Hill in July 2003, opened in the 1970s during the rediscovery of rail travel. 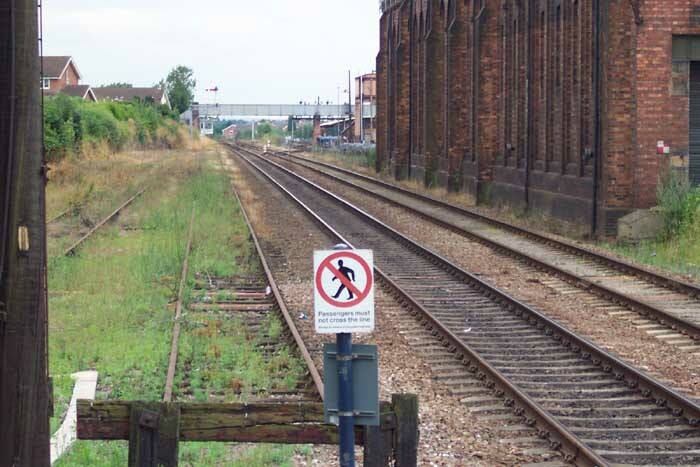 The railway occupies a large site as it is now home to the station itself, the Severn Valley Railway's station and, in between them, what was the old goods yard but is now the station car park (surprise!). The station building itself replaced a mock-Tudor station building which was demolished in 1968 suffering severely from dry rot! The view above-left is looking back towards Blakedown through the Comberton Hill road overbridge. 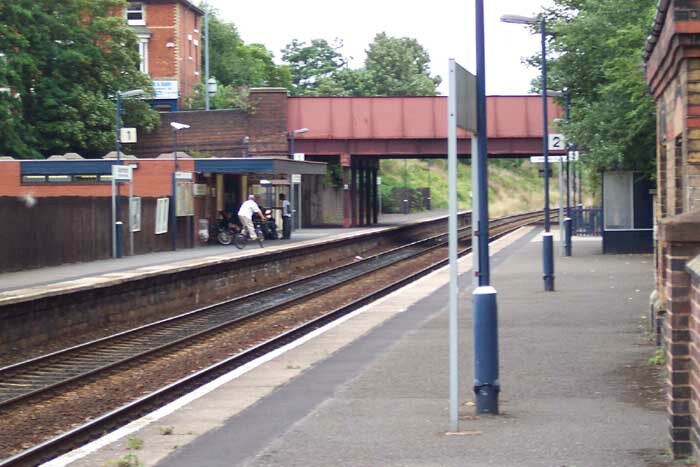 The more interesting shot above-right is taken from the other end of the platform from which the above-left photograph was taken and shows two buffer stops to the left at the end of two rather disused looking lines and in the distance the footbridge which spans both the Kidderminster line and the Severn Valley line which is in the distance and to the right. Above-left we get a better view of the building seen in the previous picture - along its roofline is printed 'British Rail (WR) Goods & Coal Depot' belying its past function. It now serves as workshops for the Severn Valley Railway. 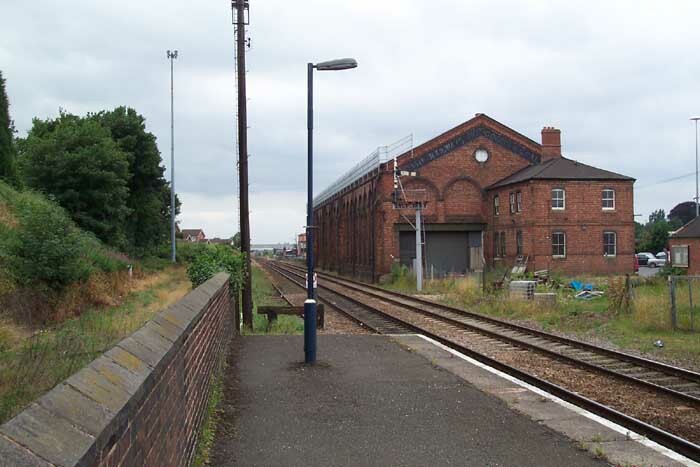 Above-right is the sight that would have greeted passengers entering Kidderminster Station from Comberton Hill: now however, this is the station for the Severn Valley Railway. 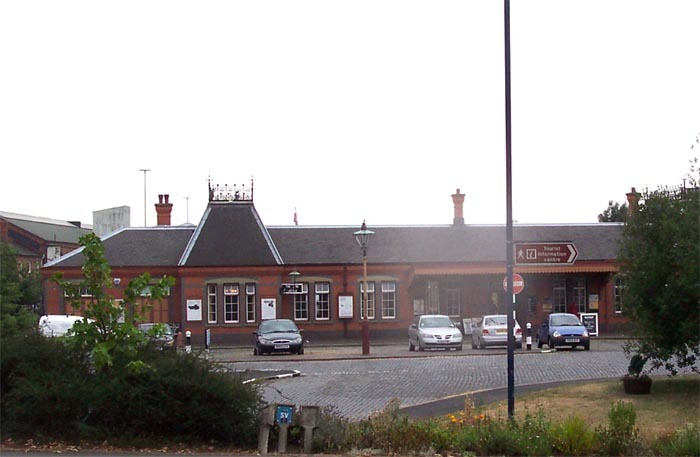 The Kidderminster Station building is to the left. Incidentally, I have not covered the Severn Valley Railway on this site in any detail but it is well worth a visit as it is one of the best preserved steam railways in Britain, in my opinion, and makes a great day out.